St. Gertrude the Great was told by Our Lord that this prayer (below) would release 1000 souls from purgatory each time it is said. The prayer was extended to include living sinners as well. It seems very fitting that her feast day, November 16th (New and Traditional), would fall in the month of All Souls!! Read more about her HERE. 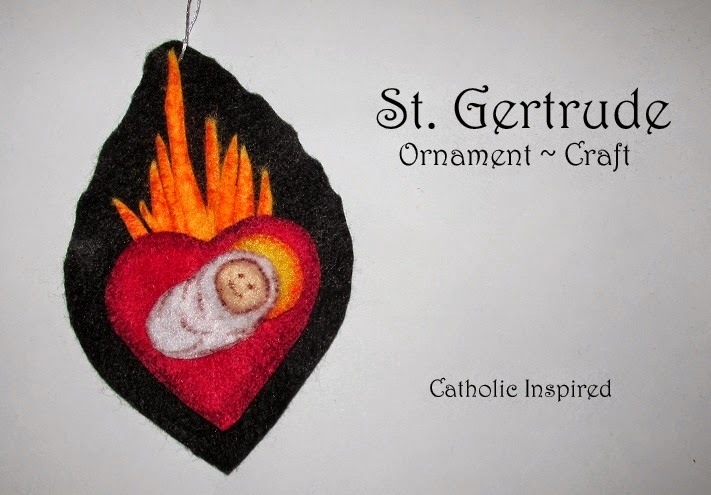 St. Gertrude is often shown with the infant Jesus in her flaming heart. So we made ours with a cute little baby Jesus. Cut out the shapes like those in the above picture. Also cut out a halo for baby Jesus (not pictured) Use the orange marker to make the out-line on the yellow flames and halo, use a purple or blue marker to add shading to the heart. The brown marker was used to add detail to baby Jesus blanket and face. 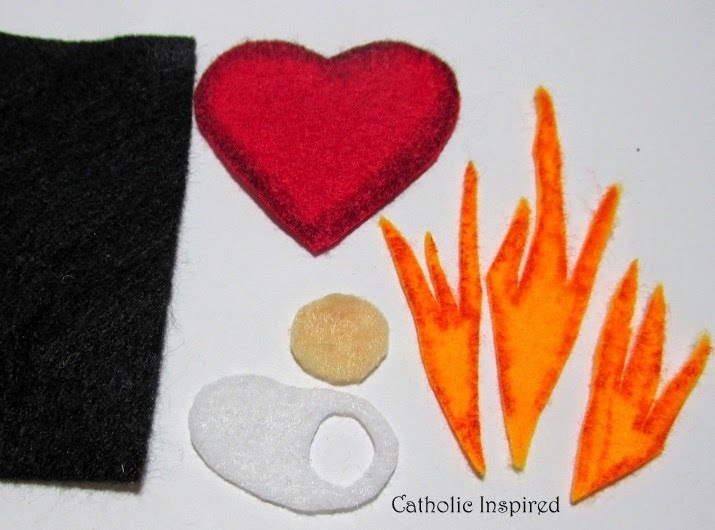 Glue the flames to the back of the heart. 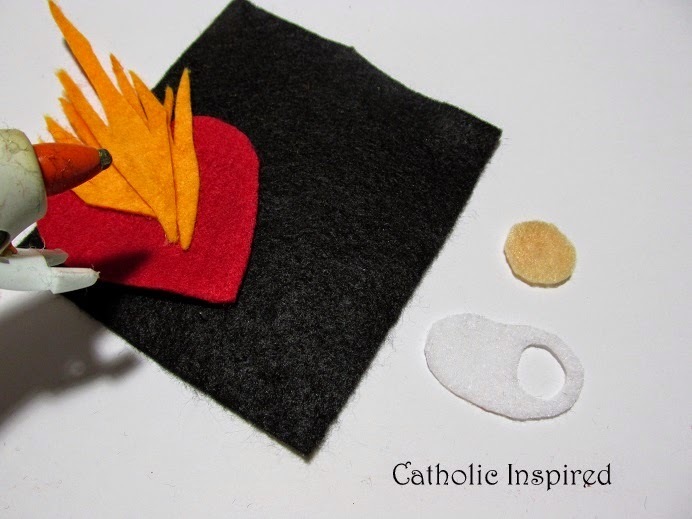 Then add glue the back of the heart and flames. Glue it onto the black background. Add Jesus' halo and head to the heart then add his blanket. Add the brown marker detail if you didn't already. Now cut off the extra black background and add the threaded loop to the top so it can be hung up.